Ginza has no shortage of amazing sushi restaurants. Sushi Aoki, a 1-star Michelin restaurant is a tiny restaurant down a quiet lane in Ginza that’s a great place to begin your sushi journey. Sushi Aoki is one of those seemingly-hidden restaurants Japan is famous for - that is to say, you have to be looking for it in order to find it. 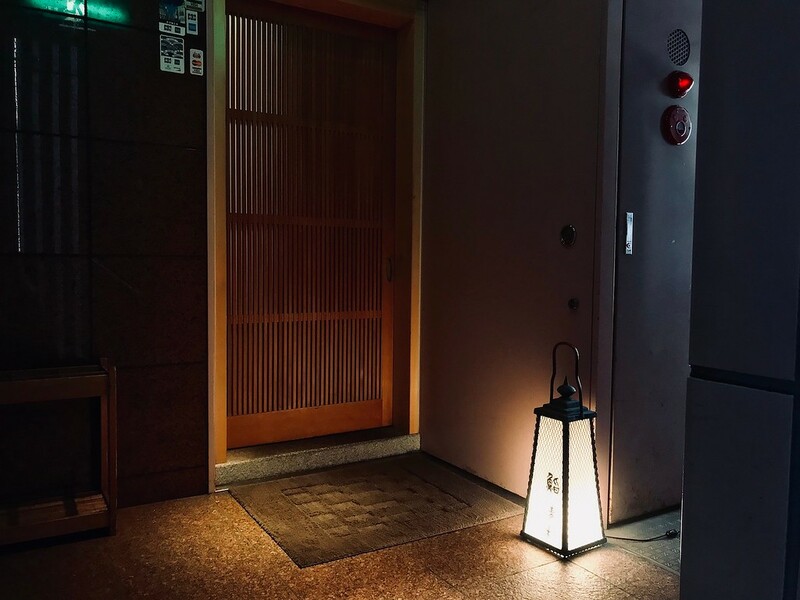 You’ll need to look out for the discreet lantern on the street, and walk up the stairwell to find the door that leads to the restaurant. Once you’re in, though, it’s a sushi experience to remember. Think high quality, umami-ful bites of fish that take you all around the ocean: soy-marinated bonito with chives, smoked squid, incredibly sweet prawns, gorgeously creamy sea urchin. There’s no going back to cheap conveyor belt sushi after a meal here. For newcomers to higher-end omakase-style sushi meals, Sushi Aoki is a good place to start, especially if you go at lunch when the food is better value for money. 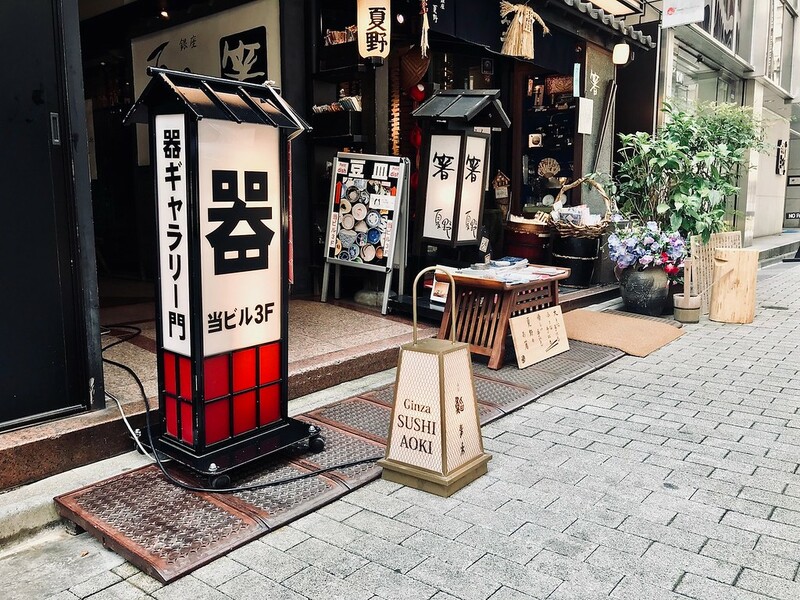 The more relaxed, casual atmosphere is a far cry from say, somewhere like Sukibayashi Jiro, where the sushi comes fast and conversation is kept to a minimum. Subway: 2-minute walk from exit B3 of Ginza Station on the Tokyo Metro Hibiya, Ginza and Marunouchi lines. 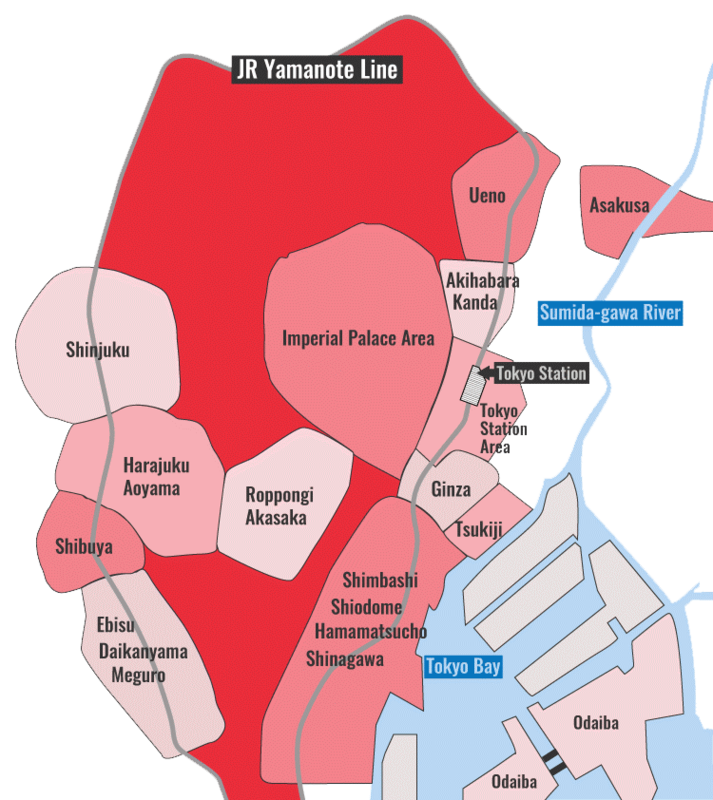 Train: 7-minute walk from the Ginza exit of Yurakucho Station on the JR Yamanote line. :: Read customer reviews of Ginza Sushi Aoki on TripAdvisor. Ginza Sushi Aoki is located in Tokyo's Ginza district. See our complete list of things to do in Ginza, including places to eat, nightlife and places to stay.